At Styles Power Wash we have one goal in mind, to offer the very best power washing and window cleaning services available in St. Augustine, FL and the surrounding cities and counties. Since 1992 we have been safely cleaning residential and commercial properties. Dirt, mold and other contaminants, when not cleaned on a regular basis, can lead to wood rot and deterioration of your property. With our professional equipment and cleaning products we are well prepared for any size cleaning project. Different types of surfaces require different types of chemicals and pressure in order to safely and effectively clean. We have the knowledge and experience your looking for! Styles Power Wash is a proud member of the UAMCC and PWRA, industry organizations that encourage members to network and share new cleaning methods as well as attend continuing education to keep us on the cutting edge of our profession. Hiring a contractor that just bought a pressure washer from a big box store and slapping a sign on his vehicle does not make a professional cleaner. Often you will end up with less than subpar results and damage to your property. We only utilize state of the art trailer mounted equipment. With proper equipment and years of experience it’s easy to see why Styles Power Wash is your choice for your property cleaning needs. 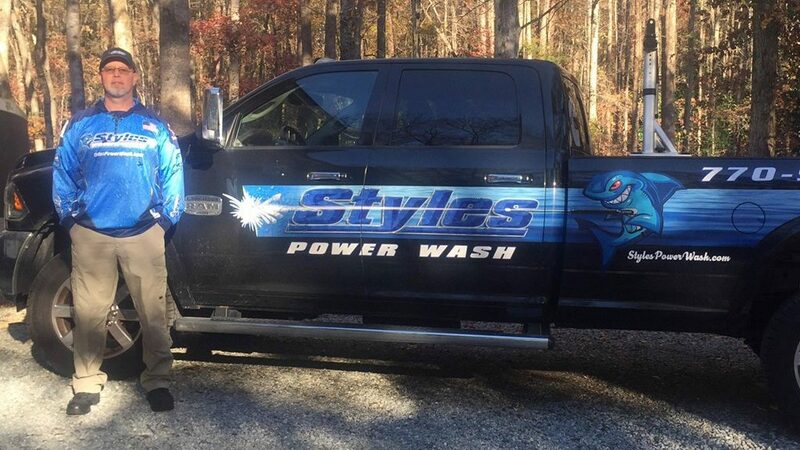 At Styles Power Wash, we are a local, family owned and operated business. We understand what our customers want and need, a company they can trust to do the job right the first time, on time and on budget. Our goal is to make the cleaning project as painless and trouble free as possible for our customers. From the first call in to our office until the follow-up afterwards we want to make sure your 100% satisfied with not only the results but with the overall experience we provide.